Air fares have been rising after cash-strapped Jet Airways cancelled a number of flights over the last few weeks due to non-payment of lease rentals. According to the official, after the Directorate General of Civil Aviation (DGCA) grounded all 12 of SpiceJet’s 737 Max aircraft on March 13 following the Ethiopian Airlines crash, that killed 157 people, the problem of rising airfares in Indian market has “aggravated”. 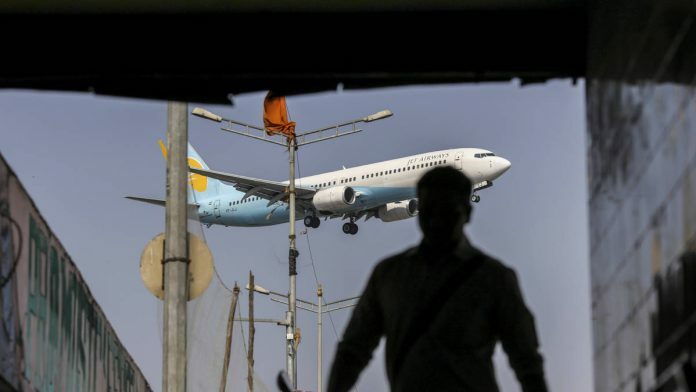 “DGCA has called a meeting at Tuesday noon to discuss the airfare rise because of significant number of cancellations done by Jet Airways in the last few weeks,” the government official told PTI. Etihad Airport services, in a notification to its passengers on Sunday, said, “Jet Airways has cancelled all their flights from Abu Dhabi with immediate effect from March 18 due to operational reasons”. For last few weeks, passengers have been venting their ire on social media as Jet Airways’ flight cancellations have increased gradually due to rising number of grounded aircraft. Therefore, the DGCA on March 13 grounded all 12 of SpiceJet’s 737 Max aircraft.